Once those wheels have left the ground and the plane is in the air it's a matter of skill and knowledge of the pilot as well as the weather systems, and hopefully no surprises such as turbulence that keeps everything working properly and delivering the passengers safely to their destination. Long-range Light Detection and Ranging (LIDAR) technology could help commercial airplane pilots better detect and avoid weather disturbances to improve flight safety, and these two companies have collaborated to achieve these goals. Boeing [NYSE: BA] and the Japan Aerospace Exploration Agency (JAXA) will flight-test Long-range Light Detection and Ranging (LIDAR) technology next year. This remote-sensing technology could help commercial airplane pilots better detect and avoid weather disturbances to improve flight safety. Boeing and JAXA have been collaborating on the integration of LIDAR technology into a commercial airplane platform since 2010. The JAXA LIDAR technology offers the potential to accurately measure winds as much as 17.5 kilometers in front of airplanes and provide pilots with sufficient time to take appropriate action to avoid wind shear and clear air turbulence, which does not have any visual cues such as clouds. Naveed Hussain, Boeing Research & Technology vice president, Aeromechanics Technology said that Boeing is very pleased with the collaborative relationship they have had with JAXA, and that they look forward to demonstrating the benefits of LIDAR technology, which offers significant opportunities for aircraft safety and performance. This next phase of the JAXA-Boeing LIDAR research collaboration is possible due to Boeing's ecoDemonstrator flight-test research program. In 2018, Boeing and FedEx Express will work together for six weeks to flight-test more than 30 technologies including LIDAR aboard a new FedEx-owned 777 Freighter. 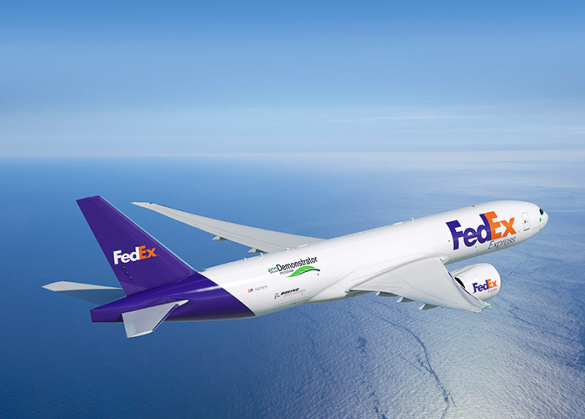 FedEx and Boeing are committed to reducing the environmental impact of their products and advancing technology that will improve performance. Doug Christensen, ecoDemonstrator program manager added that Boeing's ecoDemonstrator flight-test programs accelerate innovation that enhances the safety and efficiency of commercial flight, and that they're eager to continue working with JAXA so that they can both learn more about LIDAR technology. Fumikazu Itoh, director general, JAXA Aeronautical Technology Directorate commented that they are very pleased to take part in Boeing's ecoDemonstrator program. The onboard clear-air turbulence detection system to be tested in the program next year was established by JAXA as part of our SafeAvio R&D project on avionics safety technology to prevent turbulence-induced aircraft accidents. Boeing's ecoDemonstrator program provides them with valuable opportunity to evaluate their system's capability on large commercial aircraft, which will help accelerate practical implementation of their system in a real environment. Since 2012, the ecoDemonstrator program has used a series of flying testbeds to develop and test aviation technologies that enhance safety and environmental performance. The Boeing ecoDemonstrator program plays a key role in the company's environmental strategy by using flight testing to accelerate new technologies that can reduce emissions and noise, improve airlines' gate-to-gate efficiency and help meet other environmental goals.